Our darkest roasted blend for those who prefer their coffee with an extra bite. This full roast offers a bold body with a seriously intense flavour experience. 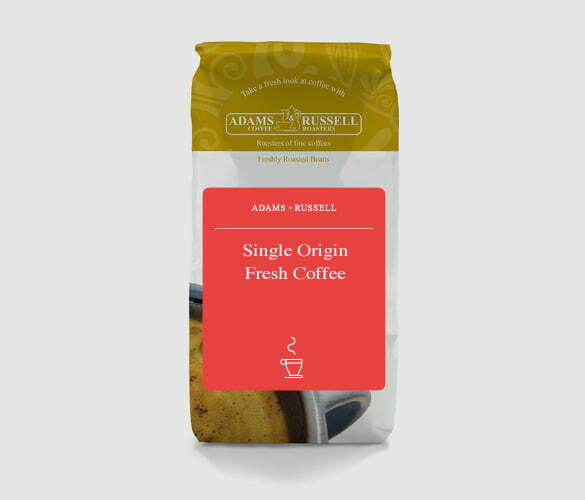 Dark, dynamic flavours blended with pungent spicy notes and a hint of tobacco makes this coffee stands out from the crowd. If you are bored of subtlety and want a cup of coffee that you won’t forget, this is certainly for you. The biggest misconception of dark roast coffee is that it contains less or more caffeine than light roast. Some think more because it is darker in colour and tastes stronger, so it must have a stronger caffeine content. Some think less because it loses caffeine content in the roasting process. I am here to tell you that both are wrong. It does not have more caffeine because it tastes stronger, and caffeine is extremely stable during roasting, so minimal caffeine is lost. It is in fact all down to how you measure your coffee. This is because during roasting the bean loses its mass, as it loses roughly 90% of its water content. So this means that if you measure by scoop, light roasted beans will have more caffeine as they are more dense. However, if you measure by weight, darker roasted beans will have more because there is less mass. Sadamo – a type of Arabica. A small bean that has a rich, spicy and almost chocolatey flavour. Liberica – Grows in the Western areas of Africa where the beans grow on trees that can grow as high as 10 to 15 meters tall. Excelsea – Similar to Liberica as the trees grow very tall. Grown in the Ivory Coast. Kouilou and Petit Indenize – grown inland along the Ivory Coast, these are much smaller trees. French Mission and Mayaguez – both types of Bourbon. 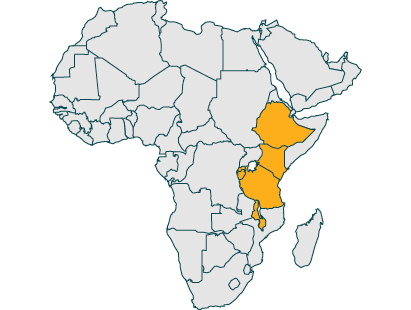 The coffee plant was discovered in Ethiopia in the 11th century. It has a white blossom that smells like jasmine and a red cherry-like fruit which is the coffee bean. According to legend, the goat herder Kaldi stumbled across the plant when he noticed that his goats were full of energy and wouldn’t sleep at night after they ate some of the berries. He then shared his findings with the local monastery who made a drink with the berries and also experienced this high energy and alertness. The knowledge of the coffee plant soon began to spread. Some believe this story to be true, although it is not fact. The perfect pairing for our Dark Roast African Espresso; a classic coffee and walnut cake. This delicious cake is topped with an easy espresso-infused buttercream icing. Mixed up my previous review with another bean. African espresson is Fairly good but not as good as the Lavazza we usually have. Good strong coffee though still looking for something stronger, something to replicate an Italian espresso.